Please read this amazing speech by Casey Costello of Hobson’s Pledge. “He iwi tahi tatou… At this time in New Zealand I don’t think there is a more powerful statement to be made. Don Brash is a person who, on top of his personal and professional achivements, has continued to have the conviction, fortitude and integrity to never walk away from any opportunity to support and encourage our nation’s leaders and decision makers. On top of this he has been consistent and steadfast in his position regarding equality before the law, the founding principle of Hobson’s Pledge Trust. This consistency in his position has somehow been used as a reason to minimize and negate our message. Astounding that someone with such a political background has remained steadfast on any issue let alone an issue as important as this. For my part I am proud to be a spokesperson and my credentials are simple. These are issues that impact all New Zealanders and are not peculiar to any ethnicity. We all have our journey that brought us to this country and our unifying factor is our New Zealander citizenship. Even when I speak out on this divisive and separatist platform that our government has created it has been suggested that I am a “token”. I have had my ancestry and credentials as a Maori challenged. It has even become an issue as to how much Maori I am, apparently percentages count. He iwi tahi tatou – we are now one people. We were taught respect, we knew how to show empathy, and we were never in any doubt about how much we had to be grateful for. We remained connected with our heritage both Ngapuhi and Anglo/Irish. Just like so many New Zealanders we knew where we had come from and that there was no limit on what we could become. And there were no limits… but I suppose the difference was that there was definitely no handouts. I vividly recall my brother full of teenage arrogance deciding that he would leave school and claim an unemployment benefit. On finding this out my mother made him pay the money back – no child of hers was going to live on handouts when we were capable of working and succeeding. From leaving school to work in an icecream parlour, through a range of industries, to the Police (leaving as a detective sergeant), vice president of the New Zealand Police Association, to my current position as general manager of a building services company, I have been exposed to a full range of industries and responsibilities and at no time have I ever encountered barriers or restrictions either for my race or my gender. For those who try to tell me that this special allowance is needed for Maori to achieve equality then I stand here today to tell you that you insult me, you patronize my heritage and MOST importantly you deprive the generations ahead of us of an inherent belief that anything is possible. Somewhere along the way Te Tiriti o Waitangi – the Treaty of Waitangi, established to provide equal recognition and opportunity to all New Zealanders – has become the mechanism by which division and disempowerment are the stock in trade. ‘What remains of the treaty of Waitangi? What is there in the treaty that the Maori can today celebrate whole heartedly with you? ‘Let me say one thing. Clause 1 of the Treaty handed over the mana and the sovereignty of New Zealand to Queen Victoria and her descendants forever. ‘That is the outstanding fact today. ‘That but for the shield of the sovereignty handed over to her Majesty and her descendants I doubt whether there would be a free Maori race in New Zealand today. We are asked to believe that Maori are so poorly represented in the all the worst statistics due to racial disadvantage and prejudice. It is never about poor personal choices and lack of responsibility or accountability. Since 1990 over $2 billion has been allocated for settlement and yet this does not seem to be achieving any tangible benefit for Maori. In fact it seems to be the opposite impact we are being asked to believe things are worse, worse than it was for my grandparents and worse than it was for me. So for the sake of this elusive equality for those with Maori ancestry we are now eroding our democracy… it seems the more that is given the less is achieved. It makes me glad that my grandparents are not around to hear Maori leaders promote that it is okay to expect less of Maori; that it is okay to offer no accountability, no responsibility; that it is okay to excuse failure and lack of pride and motivation because of a history that has long since been put right. All that is being created by a vocal minority is a demotivating sense of entitlement and mounting resentment. I am not alone on this, there are many respected and accomplished leaders with a proud Maori ancestry that support this position. No matter who you are, what your ancestry is, or what country you call home if your Government, if your legislation, if your society continues to send a clear message that you cannot achieve because of some vague, undefined, and frequently imaginary barriers, then you will never achieve. Why would you even try? More and more is being done to ensure that there is not even a suggestion of bias or inequality but we still see Maori being more poorly represented in the worst statistics now than they were 30 years ago. And yet we still cannot stop and discuss the situation without cries of racism. Hobson’s Pledge fully acknowledge that need exists and I believe every society must be judged on how they treat their most vulnerable and most in need. But need is based upon need, not on ethnicity. Equal distribution of support is essential and cannot be prioritized based upon race or upon when you or your ancestors arrived in New Zealand. Maori have succeeded and continue to succeed in academia, arts, business, media, politics. To continue to claim special representation is needed is patronizing, divisive and counterproductive. Hiding behind their claims of addressing equality our Government is protecting their alliances and balance of power by making concessions that undermine our democracy and create inequality before the law. And yet New Zealanders are still reluctant to speak out for fear of being seen as ignorant and racist… best not to mention that despite all the fancy words, the Emperor is actually naked! Our Prime Minister has the arrogance and demonstrated contempt for those people who have supported his party to suggest that “New Zealand has moved passed this” – deriding Hobson’s Pledge for its position. How offensive that he can scoff at a stand for equality and unity while actively endorsing legislation that is dividing New Zealand based on race. We cannot allow the voice of a few to force us into separatism. I ask you for your support. I ask you to help us send a very clear message that New Zealanders are smarter and more informed than our Government gives us credit for. Register your support. Give us the numbers to verify the importance of this issue. It is through your support, your donations and your involvement that we can create the Political appetite for change. Casey delivered this landmark speech in Tauranga on the 22nd of November, 2016. Very good article and I concur but how can we get mainstream politicians to acknowledge this? I am in awe of this lady. Surely Casey Costello should be our next Prime Minister. What a wonderful defining speech. I just wish there were so many more like her who can set the actual situation this country is in so very well. Well done Casey. Someone with common sense and conviction has succeeded where I failed during the Foreshore and Seabed issues. Such was my frustration and anger that I could not stop the Maori grievance gravy-train, that at the age of 77years – 53 of which were spent in New Zealand – I returned to my native England. The Eloquent “Hobsons Pledge ” speech would not have been so inspiring had it been delivered by anyone other than a person of Maori descent. The ramparts of entitlement have been so heavily reinforced that the younger generations will rebel at its deconstruction, but I hope for my children and grandchildren’s sake that it will be achieved in the near future. I wish the movement a resounding success. I was at the speech and was disappointed with the bully intimidation tactics of a maori man taking peoples photographs, and an indoctrinated looney left woman who called everybody “silly old fogies”. Imagine going on to a marae and doing that to the maori speakers and audience. The privileged feel threatened. Good on you Casey. Careful, Casey, You might get into trouble for telling the Truth. This article comes through like a breath of fresh air. C’mon good people get in behind this woman and we may have a chance for a unified future. Thank you Casey Costello for having the guts to stand up and tell the truth, and from the perspective of a Maori descendant. I just wish I could have been at the meeting to hear it in person. From what Derjk has said, how incredible there were people taking photo’s of those who attended. I’m guessing this is just another intimidation tactic .. rather than yelling racist let’s take a mug shot? Please feel free to organise a meeting here in Auckland and I would be more than happy to attend. I’m in Pukekohe, I believe you would receive resounding support. This should be an editorial in every newspaper in the country. Absolutely spot on and truthful. How sad that nothing has been shown on mainstream media (or any media from what I can tell) about the meeting and speech. Do we have a gagged media or a biased media in NZ … or am I just being cynical?? Casey Costello for Prime Minister!! There is no other way. No-one listens and they all behave like sheep without a single thought process of their own. Excellent speech and so utterly true. Maddie you are not cynical the Media in this country is left wing bent with no spine for spreading the truth . I have been reading an excellent book called “Forbidden History”by John Dudley Aldworth Ph(07)8564655 which tells the truth about who way here before the Maori. Also another book by Maxwell C. Hill “To The Ends Of The Earth” Ph (07)8659508 Which tells us about our true history also. they are both well worth reading. We have been living a lie all these years Once enough people start believing the truth, all these false land claims will need to be investigated and those responsible should be held accountable before the courts. I believe there is a huge ground swell of the silent majority out there who have had a guts full and could and will rise at the next election if nothing is sorted before then, just like what happened in America. I’ve been thinking that for years and keep wondering where they all are. ACT used to have this platform but have been conspicuously quiet on this issue in recent years. I’m wondering now whether NZ First is the only political party now promising real equality and rescinding race-based laws and policy? I think you are right just look st the biased news on TV1 tonight saying Winne is down in their biased polls. The Trump Brexit factor will hit Kiwiland I hope . I have forwarded this article to almost everyone in my contact list, maby we should all try it I don’t mind receiving it many times. Can someone tell me what law, we guaranteed the treaty under? or to put it another way, what law are or were we supposed to be ‘one people’ under? please anyone ………….anyone………does anyone, know what ‘Law’ this lady is talking about? The reason for addressing the issues faced by indigenous people is not based on the fact that they were here first. it’s based on the fact that a certain group of people exerted, unjustly, their power over another group, displacing them from their livelihoods and then stood to prosper from their displacement (economically, socially and politically). so for many people who succeed today, they only do so because they share in the benefits of this history. The real kick in the guts in all this is the fact that none of this is ever taught, and narratives about Maori being useless/poor/violent continue to do the rounds. These narratives are then internalised by Maori which they then perpetuate, low and behold, confirming the common narrative. If you want 1law4all, put yourselves in the shoes of a colonised group of people (anywhere around the world)and learn what it’s like to live in a society that so frequently devalues your identity; learn the history as told by those people redress the past and then move on. curious to know what law, you are talking about? Rene, I have a feeling you are here to cause trouble, because I can’t imagine anyone in New Zealand knowing nothing about these issues. But I’ll bite anyway. The ‘Law’ referred to means the ‘laws of the land’ or any laws under which we live in New Zealand. Laws that have been put in place by our elected governments over the years. The same Laws that Maori agreed to live under when granted, in the third article of the TOW, the same rights and protections as British subjects. Thank you for the reply- and I appreciate your honesty…and yes you are very correct in referencing the 3rd article of the treaty and yes the ‘rights and privileges of the British subjects’, is the bone of contention…… so what does this mean. It refers to the rights and privileges of the British subjects or people in Britain….. otherwise known as imperial subordinate law. Nothing to do with any NZ statutory laws. That subordinate imperial law was to protect all those of the nation that existed prior to 1840…that included all the collective communities (Maori) and the individuals(non-Maori), and their just rights and properties. The sunset clause in the 1835 document, which established all the functions and criteria for the Treaty(s), made it expressively clear that there had to be an existing function of government…prior to 1840. Reference to such time relationship is prominent throughout both Treaty(s) (if one cares to look for them) those fundamentals having been formatted to use in the 1835 DOI. So from the ‘rights and privileges of the British subjects’ shared to us all (Maori and non-Maori) (AKA Subordinate imperial law) came access to the ‘privy council(we know what happened here) and and to the ‘letters patent’, for establishing a civil form of Government….. which you would know about. Article 1 is nothing to do with the NZ Government. That’s about primary functions of the queens imperial government. Again thanks for your reply…..I hope my comment highlights my quizzing and the reasons why….I just wonder why we are all arguing about a topic that no-one has really researched in great depth. Where did you get the idea that there was more than one Treaty of Waitangi? The notion of multiple treaties – with varying wording – is at the heart of our problems. There was one and one only – signed at Waitangi. Other bits of paper were signature-gathering-sheets. The Treaty was required to allow British law to operate in NZ. Prior to 1840, NZ was largely lawless. A situation that some Maori of the time did not like. Especially those who, in 1831, wrote a letter to King William IV, asking for British protection/law to be established in NZ. The Treaty of Waitangi was the result of that collective tribal entreaty to the (then) English King. Oh and when I say timestamp re british law…I meant Law that would have be given the royal accent before 1840 or even prior to28 Oct 1835. Those relative time-stamp references, are prominent, through-out both the 1835 DOI and the treaty of waitangi…..one needs to understand the fundimentals of template used. Simon. I’m afraid that what you have written is typical of what comes out of our education, or rather, indoctrination centers today. Our once proud and great education system has become politicised and over run with radicals pushing the grievance mentality to keep the train running. I’m sorry you had to be a part of it. If you would like to know the titles of some books to read in order to learn our REAL history I’d be happy to supply you with a list. Some were even written by great Maori leaders in their time. They’re very interesting, but don’t recommend you read them before bed or before eating. They tell some very naked truths of an ugly past. I’m open to reading anything. I like reading books with contents that are open to academic scrutiny – peer reviewed articles etc. That way there is some level of assurance that people educated in these matters provide well reasoned and substantiated claims in the light of all the evidence on hand. I have read some books by tross publishing, which make a similar claim to you – the ‘real’ history claim; are these the books you hope to recommend? “I like reading books with contents that are open to academic scrutiny – peer reviewed articles etc.” Of course you do. That way you are reading books written and peer reviewed by people who have been indoctrinated by the same ideology as yourself. It confirms your beliefs. It does not challenge you, or what you have been taught, in any way. Such a shame. Once our education system taught people HOW to think. Now it teaches them WHAT to think. It’s disgraceful. Then there is John Te Herekiekie Grace’s book, called: Tuwharetoa, and you might try The Treaty of Waitangi – an Explanation by Sir Apirana Ngata or The Treaty of Waitangi – How New Zealand became a British colony by T.L. Buick, published in 1914. Thanks for the sources, I appreciate them. I agree that it’s important to learn how to think, not what to think. And i freely admit i probably have some biases going on here. But here’s the thing: we all do. And while it’s uncomfortable to admit that, i do. And to me, if biases are an issue for me, how are they not an issue for you? Surely, you aren’t exempt? The issue with tross publishing, and to a larger extent the views perpetuated by this group, is that it is not open to scrutiny by peers. By peers, I don’t mean those who agree. Rather I mean those who are educated to the same degree, have firm grip of the issues at hand and the broader context in which those issues arise. This is how I try to keep my biases in check – and I don’t see anything similar when it comes to views posted here, or in the books written by tross. You appreciate them, but will you read them? Biases are probably an issue for everyone. Which is why we, and others who have the same knowledge and beliefs that we do, also study the subject and read everything we can. Some of us for many years now. And if we find something that proves a belief to be wrong, then we change our position on that belief. We’re not just some angry, reactionary, nut jobs. We’re also not the only group or individuals who think and believe and know this information. You must have heard of NZCPR, and Hobson’s Pledge, and One New Zealand, to name a few. Are these not our peers? There are also many well known individuals who feel the same and who get published in publications like the National Business Review and Elocal – also our peers. Just because we do not reside in the ivory towers of academia does not mean our knowledge is less valuable, or less ‘right’, or less anything other than the pressure to conform our thinking to the current ideology in order to get grades/degrees. If you look at the books published by Tross, all the articles are referenced. You can check the information for yourself if you are unsure of it. The sources are all there. There is a lot of information out there for anyone curious enough to go looking. The problem is, most people don’t. Yes I have heard of the above, and I find it ironic that you use the word peers as though they are offering a critical perspective: by and large, they are all the same people! And from what I see, they all share the same views. David round, Mike butler john robinson etc. I also find it ironic that, you criticise the ‘ivory towers’ when in fact those ivory towers awarded qualifications to people like john robinson. And his education is something that is used to boast about his authority on the matters he writes about. Unless of course he was awarded his degree in the good old days when real education was being taught? What I also find puzzling, is how, in one fowl swoop, you condemn the entire academy, it’s people and research as though everything they produce is invalid/biased? I may have this wrong but statements such as “not conforming to an ideology and the pressure to marks/degrees”, “peer reviews are processes of perpetuating indoctrination” give off this distinct impression. This is a huge claim which needs substantial evidence – something I am yet to see. They are just as much peers, and offer just as critical a perspective as your university peers who have all been taught the same thing and who all spout the current ideology. The irony is that you can’t see that. Have you read John Robinson’s book about how he was forced to change his findings to suit what his employers wanted the results to be? Do you doubt David Round’s expertise? I won’t tell you his credentials as I’m sure you already know them. I do not intent to condemn the entire academy. Only the academy involved with anything on this subject. And I do that because I’m looking at the whole picture. Because I know things that you will not have been taught. Such as the statement by Ranganui Walker on how much he admires Lenin and his marxist ideology. Remember Gramsci’s ‘long march through the institutions’? – “Different Marxist factions had different ideas about how best to go about this. The Italian Communist Antonio Gramsci drew a distinction between what he called a “war of manoeuvre” and a “war of position.” The war of manoeuvre was the Stalinist model. One simply used political violence to achieve one’s ends. But Gramsci thought this would not work in the more highly developed Western countries. For these countries, he recommended a war of position. A war of position is one in which one first identifies “switch-points of social power” and then one seeks to peacefully take control of those switch-points. The switch-points all relate to the field of cultural values – in particular, the arts and education. The most important switch-points of power are positions like school principal, university professor, government policy maker, education department bureaucrat and journalist.” Because that is what has been happening in New Zealand for the last 40 years. I don’t know how old you are, but the reason that most of us who are trying to get back to 1 law 4 all are in the older aged bracket, is because we have been watching this going on most of our lives. It’s the long game. Teach people, children especially, what you want them to believe, and they will hand over power etc without a fight. Yes I know it’s dangerous to generalise, but I’m trying to be brief and it’s not a brief subject. You condemn people who have been researching and studying this subject for many many years, for some it’s been their life’s work, yet you rate everything they produce as invalid/biased just because they don’t have a piece of paper from an institution. That’s pure academic snobbery. It’s also a logical fallacy – ad hominem – the claim that a position is incorrect or an argument invalid because of something not about the position but about the person taking it. As for my comments about students in Universities being expected/forced to conform in order to get their degrees – please read this: http://1law4all.kiwi.nz/2014/08/10/preparing-the-parrots-a-training-college-graduate-on-the-cultural-corruption-of-teachers/ This is only one example of many such instances which we have been made aware of. Most of these we can’t write about because they were told to us in confidence as they were in fear of losing their jobs for speaking to us. I had hoped you would bring John’s example to the discussion as this is something I think would require more substantiation than his anecdote and an appeal to his authority. I’m not saying that this is a false claim, but such a poignant example of what you are arguing here, I would have thought, would be more persuasive if there was independent attestation to the fact. I’m also puzzled by the lengthy thesis you offer about the war of position, in light of the fact that those very positions are still largely held by non-Maori with unfavorable views toward Maori. Look at many of the top highschools and tertiary institutions in Auckland alone!! For example, to two highschools off the top of my head: Auckland Grammar and Kings college – neither of these schools offer Maori in the curriculum. As I have some awareness of the underlying politics at UOA – I can say, with some confidence that those who are in those positions you speak are in no way supportive of Maori, and Maori views to the extent that you probably think they are. Just follow the departmental funding lines and you will see the levels of divestment in the arts, of which history and Maori studies are a part. You will also see the extent to which money is being pumped into the business and med schools. Also, I don’t condemn those who I named before, rather, I think there is something to be said for the fact their ‘research on history’ is largely self-attested. Historians who gain qualifications, at the very least, have to demonstrate how they weigh the evidence on hand and evaluate the evidence critically. If they can’t do that, they can’t get the qualification. It is not about repeating what the lecturers have said (for post graduate qualifications at least) it is about demonstrating critical thinking. So, if a student disagrees with the lecturer and provides substantiated reasons, they will probably gain good marks and, more than that, I believe a level of kudos for demonstrating their ability to think critically. So while I understand what you have said, I find it completely vacuous to assert that academic institutions and some departments specifically, only appreciate and validated what is said if the student conforms to the content of what is being taught. Lastly, I have not made an ad-hominen argument, if anything I have been less generous than I can be. I say that because my criticism was targeted squarely on the methods that are used to verify the research produced by said individuals, not the individual themselves. For example, my criticism was not that they can’t be trusted because they are untrustworthy, rather, they employ method of research, giving conclusions that are largely independent from academic scrutiny (both for and against their position). But i concede that what they have concluded, based on their research could be factual. Its is however yet to be substantiated; much like some of the other claims you keep bringing forward regarding people’s experience of the ‘system’. I have a final question – based on how I am engaging with you through these posts, am I one of those force fed, indoctrinated folk you speak of whose views are informed on, soley by the academy? John’s example/article was written after he received communication from the student concerned. Does that make it an anecdote, when it’s first hand experience? There is also the example of Anna Penn, at least I think that is her name. Who was forced to complete her nursing studies in Australia. That case was quite widely publicised at the time. And I wasn’t appealing to John’s authority, although I know him personally and know that he is extremely knowledgeable on the subject. My reason for using that example is because examples like that are very rare. People are afraid to speak out on such things, for fear of their jobs, or being called ‘racist’ or other such attacks that are made on anyone who dares to rock the boat. Sorry about the lengthy paragraph about the war of position. It was just a copy and paste, but you probably knew it all anyway. But did you know these same tactics are being used in New Zealand today, and for the last 40 odd years? Who are these position holding, non-Maori with unfavorable views toward Maori that you speak of? What positions do they hold? Being in a position of power, so to speak, would not be ideal in an education system, as those kinds of positions tend to keep a person more office bound than class room bound. If you are of a mind to bend young minds, you’re better off in the class room. Margaret Mutu is at UOA is she not? I’ve heard parts of some of her lectures and have been absolutely disgusted by her views on colonisation and the Treaty. If your personal experience has been that disagreeing with your lecturer has not had the adverse effects of the person who wrote to John, then I’m glad there are still some of those kind of lecturers around. As I said, generalising is dangerous. But I do believe it happens more than you realise, given the accounts we’ve been told. You may not have attacked an individual, but the effect is the same. It’s an attempt to discredit their work and their findings, based on something other than the findings themselves. When I talked of power being handed over by generations of indoctrinated people, I meant real power. Political power. Not just people in charge of Universities or colleges. Where on earth did you get the idea that for anything to be substantiated or validated or worthy of being accepted it must first pass through some sort of academic scrutiny? My bet is that you got that idea from the University itself, or one of your lecturers. Can’t you see where such thinking leads? It would lead to academic institutions becoming thought police. Discounting everything that crossed their threshold that they did not agree with, and verifying everything that they did. And please don’t tell me that it would not be like that, because it absolutely would. Thank god we are not at that stage yet. We still have free thinkers and independent researchers and ideas. As to your final question – my answer is, I don’t know. I don’t know you well enough to make that judgement. At least you are willing to discuss the subject, which is in itself refreshing. But your seeming conviction that academic scrutiny or peer reviews or fancy bits of paper from institutions means a person or what they do or say is some how magically more acceptable than anyone elses, or that they are more intelligent, or better qualified, is very worrying. It’s like saying that mothers cannot produce tasty, healthy, well cooked and presented meals for their children unless they’ve been to a Chef’s college. Not a great analogy, but you get what I mean. It’s a load of rubbish to assert that academia is the only reliable authority on anything. 1. The people you request to know are those that reside on the boards of those schools who decide the curriculum and what is taught. My reason for using those schools as examples is that I know for a fact that Te Reo Maori and New Zealand history are not offered. If there was such an influence of Maori over education, I would have thought that this would transpire through the curriculum. That the curriculum is silent on these subjects is very telling about those who make these decisions and the value they place on those subjects. 2. I agree that political power is perhaps the most important. I considered writing more on this but I won’t for the fact that it is such a lengthy discussion. Suffice to say, if you believe that Maori have true political power, either by way of politicians or through the Waitangi Tribunal, then you and I have very different ideas about how these transpire, in any way shape or form as true political power. 3. I want to clarify my position regarding my adherence to academic standards. As far as I am aware (I hope 10 years at university qualifies me to say this) any claim made by a student, lecturer, researcher, professor must be logical and substantiated. In the case of history, and substantiating historical fact, there are proscribed methods by sources and evidence is evaluated. These include, date of production, location, multiple attestation etc. Preference is also given to primary sources. Where sources disagree, then there is another proscribed procedure. This includes (but not limited to) corroborating evidence by outside sources; prioritizing those accounts of eyewitnesses; common sense etc. So in weighing up the likelihood of an account, there are ways and means of establishing how likely they accord with actual events. There is a lot more to be said on how one may evaluate a source, but I hope this demonstrates this: there certain ways which are more conducive to providing evidence for historical facts (however I appreciate that facts fall on a continuum of reliability). Second: these are the very standards I support and that I have been taught in order to critically evaluate sources. Furthermore, my adherence to peer review by people who adhere to these standards ensures that whatever claim is made about history is weighed by these standards. Now you can’t tell me that this is an unreasonable way to proceed? My issue with the authors mentioned earlier is that there is absolutely no assurance that they use methods, such as these, to determine the accuracy, validity and reliability of their sources. Until such time, their claims hold very little credibility in my eyes, and I’m sure, the eyes of many others. 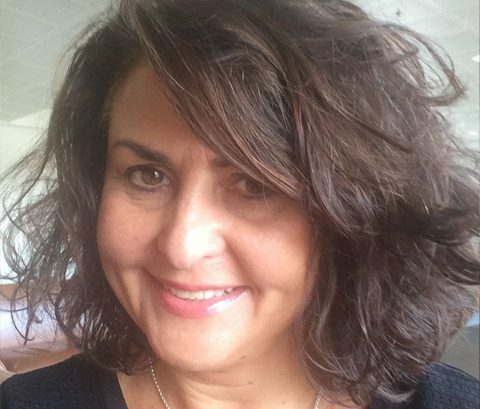 As to you point about Mrs Mutu – this may seem unbelievable, but I recently interviewed her for her views on her obligation, as an educator, to be the “critic and conscience” of society. In that interview she emphasised on several occasions the centrality of performing rigorous research, the findings of which must hold up to scrutiny before being published. She said this so many times that I felt like I was being reprimanded. An example she used, from her own people was when she took some findings back to her people and there was a claim by her that the missionaries were using underhand tactics. Her family quickly criticised her because that was not their experience of the missionaries – rather, it was the opposite. She later told me that her claim was based on documentation for missionary accounts showing a level of deceit, nonetheless, she redacted her claim because it didn’t meet the threshold of according with people who had direct experience of the missionaries. I have also heard her talk on multiple issues, and while I believe her delivery can improve, she has based her claims on research produced in accordance with the methods described above and then reviewed by peers who hold her research to those same standards. Finally, you say your analogy is not ideal, but I think it nicely demonstrates some of the ground that we have covered. I agree, said authors don’t have to go to university to have a level of authority over the matters they write about. However, as I hope you can see, there are ‘checks and balances’ in place which help to guide research so that we can arrive at facts. While a mother can learn how to cook through means other than chef’s school, there is no doubt that, by attending chef’s school, her learning will be hugely informed on by scientific research pertaining to food, having to sharpen her skills against those of her peers, and being evaluated by people who have more experience at cooking than she does. 1. I don’t know much about the schools you spoke of. Please tell me, are they private schools? Because in public schools the schools do not set the curriculum, the Dept of Education does. I don’t think NZ History is taught in any schools now, but Treaty of Waitangi stuff is. That says a lot to me. i.e. that our history is not considered important, but teaching students about the “importance” of things like the Principles of the Treaty, (which do not exist) and the Treaty Partnership, also a myth, is? Not to mention all the other things teachers must now do to ensure their children know that Maori are ‘special’ etc etc. Pure indoctrination, as I said. 2. Yes, the political part is huge. But if Maori had no power here, then we would not be in the position we now find ourselves. Particularly where fresh water, for example, is about to be handed over to Maori. Something that no one should own or have control over other than our democratically elected members of parliament. With MMP and the Maori Party being in Confidence and Supply agreements with National, we have the tail wagging the dog. Don’t even get me started. 3. That was long. So I won’t try and answer individual points. Suffice to say that what you have described is pretty much confined to academia. When/if you ever get out in the real world, you’ll find that things, and the real world, do not work like that. Life is not like that. It’s such a shame that the Waitangi Tribunal did not demand such rigorous proof of claims brought before it. Now that really would be something! Sorry, the bit about you getting out in the real world sounded like a put down. I didn’t mean it like that. And a quick search reveals that many of those who authored the tross books, aren’t qualified historians. I also dispute whether they are researchers in the sense that they are qualified to research matters they write about. Rene: “When I say treaty(s) I meant the English version and the Maori version, of the Treaty of Waitangi. There’s another classical error. There was no “English version.” There is only one Treaty. The one that was written in the Maori language so the hundreds of Maori chiefs (tribal representatives) could understand and sign it at Waitangi. Anything in English is either a draft or a translation or a fraud. Further, the Maori language version takes precedence over any other facsimiles, as that was what was read to the assembled chiefs, at Waitangi, as part of the signing ceremony. I’m sure that the intent, upon which we use the Treaty (English version as translated-during various levels of discussions), is consistent, with the comparable conclusions of the either version…………..It doesn’t matter whether the treaty was written in maori and translated into english, the ‘format base’ upon which it was originally constructed is still the same……..that means the information that would be concluded from ‘significant components’ Te Tiriti can be compared against the ‘significant components’ of it’s english translation….and in testing accordingly, shows that there isn’t any difference in the meaningful information from either ……Trying to extrapolate a meaningful understanding from from the data of the Treaty text, by translation verbatim, and out of context, is a classic error…….and in my research, it is a common error done by many…… And so …. analysing according to the original model, shows that it makes, little difference, as whether the treaty it is written in Maori or English, on the content of meaningful output, from either…….We all know there is one treaty of waitangi …….but to fully understand the intrinsic framework or template of the treaty, one needs to fully understand the preceding document. The conventions used, have been in existence for centuries. The preceding document – the Littlewood draft – is unambiguous. The Treaty is a very simple and equally unambiguous document. If you read one of the books someone suggested to you, therein is a letter from one Lord Normanby to Hobson. It goes into great detail, including an injunctive phrase to not let the Treaty be signed by anyone until it was conclusively established that the signatory was quite clear on the meaning of the document that was being signed. Historical conventions would likely be irrelevant to the Maori chiefs who signed the Treaty. They were reliant upon the oral rendition of the Treaty words as spoken to them by the Rev. Williams. I can not really follow your descriptions with its many ellipses, but it does look like your commentary over-complicates what was (and seemingly was so intended to be) a simple document. Your dissertation also seems to be what another person was saying or implying. Academia has confounded the simple by venturing down the path of paralysis by analysis. The KISS principle seems a better option. The littlewood draft is not the preceding document nor is it the pre-cursor to the Treaty. paper trail indication, on where to look. I have read the letter, and understand it’s intent……but in reality I’m also familiar with the phrase that “what one says, isn’t always what one hears”. and yes I have read all the material available…already been there …done this research thing. I agree 100% on the point of conventions being irrelevant, to the treaty signee’s, but that’s not the point I’m making…the point is that we(NZers, today) can use that convention, as a framework for our own personal use today…whether the then signee’s understood that or not, is neither here nor there(what’s done is done)……..analysis by a conventional structure, is personally satisfying……….others should try it….highly recommended as a fun exercise…much more mind-taxing then watching CSI. and it’s pity, because, then objectivity might not have been so clouded, but then again sometime, multitudes are best left in the dark, depending on which team one supports. re The KISS principle seems a better option. Unfortunately that acronym, on this occasion, has the country in a pickle……. Hi Simon, I’m not sure where you get this information? I’ve always been led to believe the opposite. That is, there’s only an English version as the Maoris never had a written language so there was never a Maori version written. Even if there was a Maori version written, who would have been able to read it? One of the reasons why there’s such a gravy train around anything to do with this treaty is because of all the different interpretations to benefit the claimants. You’ve been grievously misled. However, you’re right on one thing – to a point. There was no written Maori language until the Europeans arrived and created one for them – including a dictionary! 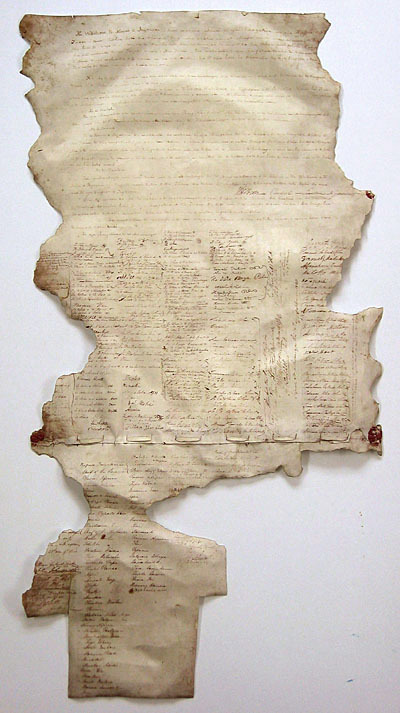 The one-and-only-and-original Treaty of Waitangi is on display in the Constitution Room of NZ National Archives, in Wellington. The Treaty was read out to the assembled chiefs, clause-by-clause, at the Waitangi Treaty grounds, by bi-lingual missionary Henry Williams. For the benefit of those present who did not speak Maori, Hobson read out the English draft (Littlewood document) from which the Maori language Treaty was created. Later, the Williams’ were involved in creating Maori language dictionaries. The modern ones still list them as the original authors. Prior to 1840 however, there was the 1820 Grammar and Vocabulary of the Language of New Zealand by Cambridge University professor Samuel Lee. Indications are that Ngapuhi chief Hongi Hika was used by Samuel to assist him with preparing that dictionary. The only reason for that mentioning that is to help affirm that there was a written Maori language, quite early on, otherwise a dictionary would be pointless.